Product #831 | SKU SH809 | 0.0 (no ratings yet) Thanks for your rating! 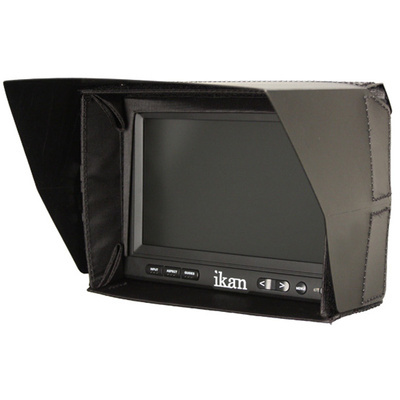 The Ikan SH809 is a sun hood designed specifically for the V8000HDe and V8000HDMI monitors. This sunhood will provide shading to the screen when in direct sunlight, brightly lit conditions, as well as protecting against light spilling. The Sunhood can be folded down over the monitor screen to form a protective case.